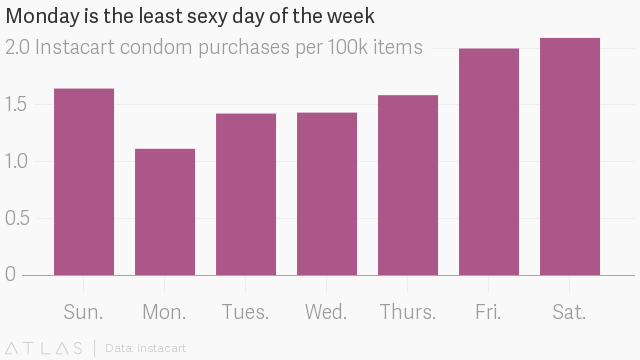 On-demand grocery company Instacart has done some research, crunched some numbers and looked at the data to discover that Monday is the least popular day of the week to buy condoms. Things don't exactly get better as the weeks drags on. 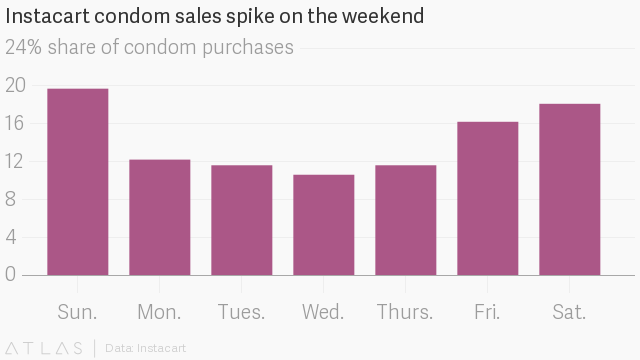 Proportionally, Wednesday is the slowest day to buy condoms. Sales increase from there, putting a whole new spin on "TGIF." No wonder everyone is always so anxious to make it to the weekend. So, Mondays and Wednesdays are slow going for getting some, which makes us wonder: is there a chance those days are big business for purchases of pregnancy tests?